We tend to take the moon for granted. It’s a big hunk of lifeless rock locked in orbit around us. We sent six manned missions there, as well as a few probes. Now we’ve been there, done that and it’s time to move on to something more interesting. That tends to be the prevailing view of the moon. But there are some dissenters: fringe figures who claim that the moon is much more interesting than we’ve ever been led to believe. George Leonard was a photo analyst at NASA in the 1960s. As America geared up for the first manned moonshot – in fulfilment of JFK’s promise to put a man on the moon before the decade was out – Leonard was one of those who did the prep work. His job was to pore over the vast quantities of photographs that NASA had taken of the lunar surface and look for anything that might help a future mission run more smoothly, such as a good spot for a landing, for example. After retiring from NASA, Leonard published a fascinating book called Somebody Else is on the Moon. In this he recalled that, while studying the lunar photographs, he had seen a number of very strange things: things which appeared to be indicative of some kind of intelligent life being present or having once been present, on the moon. He said he had seen artificial structures on the lunar surface, including buildings, ladders, tunnels, bits of machinery and objects which had clearly left a trail behind them in the moon dust. Since then, several people have followed up on Leonard’s work and claim to have identified structures on the moon for themselves. Most of those who believe that there are artificial structures on the moon also believe that NASA is attempting to suppress any indication of it by deliberately smudging and retouching the photographic images it releases to the public. Two people who say they are former U.S. government employees, Donna Hare and Karl Wolfe, have come forward and based on their own experience of being tangentially involved in the retouching programme, confirmed that this is true. If there were artificial structures on the moon, why would NASA keep quiet about it? Believers in a cover-up tend to think that the U.S. government hoped to get hold of alien artefacts which might have proved useful in the Cold War; that perhaps this was even the major motivation for the lunar missions in the first place. This explains their initial silence on the subject. According to some, however, the US got a little more than it had bargained for when it encountered live aliens who weren’t too happy about being perturbed. The subject of astronaut encounters with UFOs will be dealt with in another article. Suffice it to say here that there are those who believe the U.S. was warned off the moon by aggrieved extra-terrestrials and that this is why there have been no further manned missions to the moon since Apollo 17 in 1972. Even more astounding than the view that there might be some kind of artificial structures on the moon, is the theory that the moon itself might actually be an artificial structure. That’s right. There are people who believe that the moon itself is some kind of giant spaceship. This view was first expounded by two Soviet scientists in the 1970s then later picked up and expanded on by Don Wilson in his book Our Mysterious Spaceship Moon. Their hypothesis is that the moon is some kind of ancient spaceship brought here by intelligences unknown and probably since abandoned. As evidence they cite the fact that craters on the lunar surface are never more than 2.5 miles deep. Even when the craters are more than a hundred miles wide, they never penetrate below 2.5 miles. Why is this? Because the spaceship has some kind of armour plating 2.5 miles down, the Spaceship Moon theorists insist. Belief that the moon is a spaceship, naturally enough tends to go hand in hand with the belief that it is hollow. Hollow moon proponents cite instances in which parts of lunar modules were ejected onto the lunar surface. Seismic indicators on the moon, they say, “rang like a gong” for hours afterwards. This is consistent, they insist, with the view that the moon consists of a largely metallic outer hull and a hollow inside. Spaceship Moon believers also note how curious it is that the moon is exactly the right size and exactly the right distance from Earth to obscure the Sun perfectly during an eclipse. The possibility of this occurring by chance, they say, is tiny. But if the moon were a spaceship, propelled into exactly the right position long ago, it would make perfect sense. Perhaps the lifeless, grey tracts of the lunar landscape are not as lifeless and grey as we once believed. If nothing else, the view that the moon contains alien bases, or even that it itself is an alien base, is certainly thought-provoking. Some of the photographs of anomalies on the lunar surface are indeed intriguing. It is to be hoped that future lunar missions will resolve the uncertainties once and for all. Theres more than one Moon in the universes.Dont be fooled in our basic science theories that orbits are the only method of planets,stars and moons shifting... whats on The moons is too much for me to manage,i wish there was no consequences for speaking about this,unfortunately heavy doses of crap medication is the human philosophy for seeing these things. 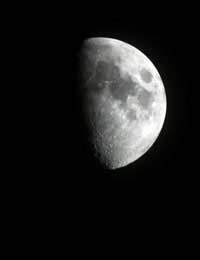 There is photos on the web from earth before Nov 2011 and later showing the moon has actually shifted by aabout 30 degrees. Strange when normally we are told it does not move.